When reverse engineered parts are used for heavy equipment, they are not only more sustainable, they are also configured for enhanced operational efficiency. Therefore, these kinds of parts boast a longer length of life than the original design. Not only that, parts that are re-configured cost 50% less than their newer counterparts. Reverse engineering, or RE, is a process by which a part is disassembled and analysed. Any shortcomings are able to be removed so the part is improved. Therefore, reverse engineering can be viewed as a type of analysis that identifies components and their interrelationships. That is why RE is frequently suggested for parts that are no longer produced or where certain features need to be further designed. The benefits associated with RE are immense, as they lead to an upgrade in part performance and efficiency and reduce maintenance and operating costs. Therefore, reverse engineering supplies a viable alternative to sourcing parts. Parts can be adapted to meet the machinery requirements of high-demand industries. Many times, reverse-engineered pieces, such as those represented by Atlas Copco Spare parts, will outperform their predecessors because they are made with new materials. 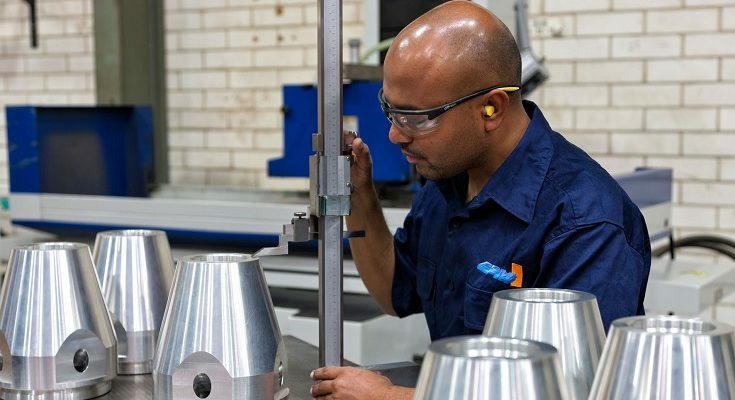 Even if you can find a replacement part for your equipment, a reverse engineered part can provide you with a higher quality, and more specialised option. You also can customise your piece based on the requirements and demands of your mechanical needs and applications. Australia is home to a thriving mining industry. Therefore, reversed engineered parts are well-suited to the type of machinery that is used in the field. Replacement parts for large machines are put to better use when they can be reconfigured. Reverse engineered parts are thus stronger and more capable of handling demanding tasks. So, there are plenty of good reasons to reverse engineer parts and components. As mentioned, you not only increase the quality and efficiency of the parts, you also reduce costs. After all, many of the original component parts are not designed with the highest level of quality. If they were, they would not break down as frequently from use. Again, the reverse engineering process enables you to discover methods that help make a part last longer and function better. Therefore, component parts should operate at premium efficiency whilst withstand the inherent stresses of high-demand jobs. You can find the spare parts you need for operating heavy equipment and machines in a large variety of industries. Equipment parts are reconfigured for use in agriculture, mining, aviation, construction, defence, general engineering, manufacturing, oil and gas, and subsea work. Therefore, make sure your supplier can provide a perfect match or a better option in aftermarket components.